Hotels are filling up in Paris over the weekend as delegations arrive from the 195 nations that will participate in the climate talks that start in the French capital on Monday. In anticipation of the talks, The Tico Times offers this primer and guide to our previously published climate change stories so that you can read up before the conference starts. The 21st Conference of the Parties to the United Nations Framework Convention on Climate Change, COP21, as it’s officially called, is scheduled to last through Dec. 11. By that date, climate leaders hope, the participating countries will sign off on a solid international plan to meaningfully reduce the risk of massive climate disaster in the future. Costa Rica will have a delegation of some 40 people at the talks, including chief climate negotiator for the Costa Rican government, Giovanna Valverde, various ministers, and a handful of representatives from indigenous groups and civil society. Costa Rica is part of the Independent Association of Latin America and the Caribbean (AILAC) negotiating bloc, which includes Guatemala, Chile, Colombia, Paraguay, Panama and Perú. According to MINAE climate change adviser Pascal Girot, AILAC’s main characteristic is that its member countries are willing to take responsibility for their contributions to climate change and make commitments towards reducing global warming. President Luis Guillermo Solís had hoped to create a Central America bloc for climate change negotiations, but that didn’t happen. Although Central America accounts for only 0.5 percent of global greenhouse gas emissions, scientists consider the region a “hotspot” for climate-related damages in the future. Central America’s seven countries also suffer a disproportionate share of the consequences of global warming, including floods, hurricanes and other natural disasters. In Costa Rica, several climate change marches are taking place on Sunday, Nov. 29. The main march leaves from Parque España in downtown San José at 9 a.m. and ends on the University of Costa Rica (UCR) campus in Montes de Oca. There are also marches planned for San Pedro, Santo Domingo de Heredia, Escazú and Santa Elena. You can find more details on those marches here. And now, here are some of our top climate- and energy-related stories of recent years. We hope our readers will click on some of the links below and get a more complete picture of what’s at stake in the upcoming talks, Costa Rica’s record on renewable energy and global warming, the effects of climate change on Costa Rica, and some creative solutions for mitigating them here and around the world. Costa Rica made headlines this year for breaking records with its reliance on 100 percent renewable energy — first in March, when it ended a 75-day streak running the country’s energy grid without fossil fuels, and again in August when it finished 94 consecutive days running exclusively on green energy. During the second run, more than three-quarters of the country’s electricity came from hydroelectric plants; 12 percent from geothermal sources; 10 percent from wind power; and 0.01 percent from solar. 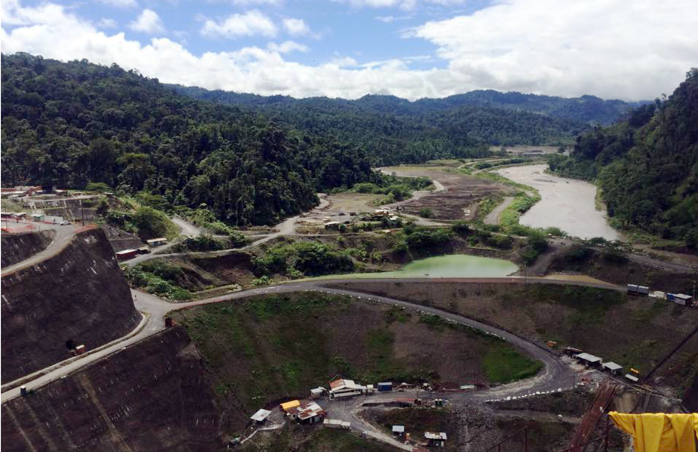 Costa Rica will soon have even greater hydro capacity, as it nears completion of the Reventazón hydroelectric dam, which will be Central America’s largest. The country expects to double its wind power capacity over the next two years. And a bill is in the works to allow geothermal projects in three national parks. On the solar front, Costa Rica finally passed a decree regulating distributed electricity generation, or electricity generated from renewable sources by homes and businesses that are connected to the national grid. The new regulations, which became law on Oct. 8, allow businesses and homeowners who generate their own solar, wind, biomass or hydro power to send excess electricity back into the national grid to be stored and used later. But some solar proponents aren’t happy about details of the new regulations. And there could be more griping when the government sets fees for the new scheme, which is supposed to happen in December. 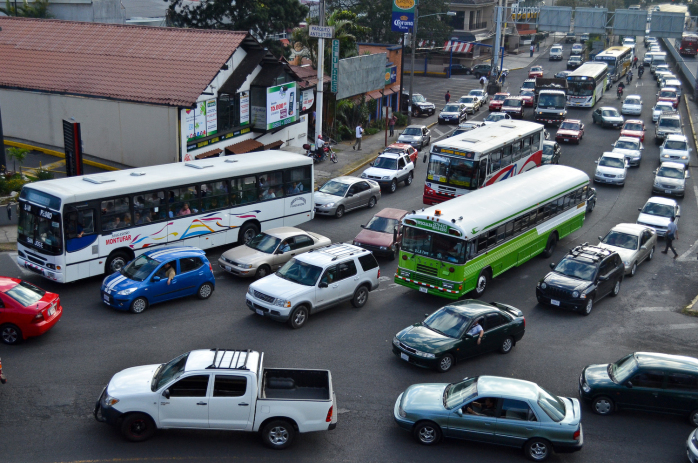 Vehicle emissions are Costa Rica’s biggest challenge to reaching its goal of becoming carbon neutral by 2021 (the government now recognizes that this goal is likely unachievable but it has been reluctant to backtrack publicly because of the date’s symbolic power). Vehicles emit more than half of the country’s total carbon-dioxide emissions, one of the principal gases responsible for climate change. There’s a car here for every four people, and the average age of the vehicles is 16 years, according to Riteve, which is in charge of mandatory vehicle inspections. There are plans for an electric train that would connect cities and towns in the Central Valley. The government hopes to begin construction on the train before its mandate is up in 2018, but lawmakers still need to approve the project. Costa Rica’s other major source of carbon emissions is fossil fuel-burning power plants. In a typical year, Costa Rica can produce 90 percent of its electricity without burning fossil fuels. But when Costa Rica was hit in recent years with intense drought, the state-run ICE was forced to turn on its bunker generators more frequently to compensate for the drop in available hydroelectricity. Toward the end of last year, unusually heavy rainfall bolstered Costa Rica’s reservoirs and made this year’s renewable energy streak possible. But as the dry season approaches with below-average precipitation for the year in much of the country, Costa Rica may be forced to rely more on fossil fuels again in 2016. Climate change specialists say these constantly changing rain patterns are only likely to increase with global warming, making hydropower more unreliable. Most people know by now that climate change is likely to cause sea levels to rise and temperatures to rise. Most have experienced by now what seem to be increasingly erratic weather patterns. The latest El Niño phenomenon affecting Costa Rica, the southwest coast of the U.S. and parts of South America, among other places, has been particularly harsh (though it has also produced rare beauty). Experts say the coming dry season could be long and particularly hot because of the combination of El Niño and climate change. The intensified El Niño has been blamed for the increase in wildfires in Costa Rica this past year. 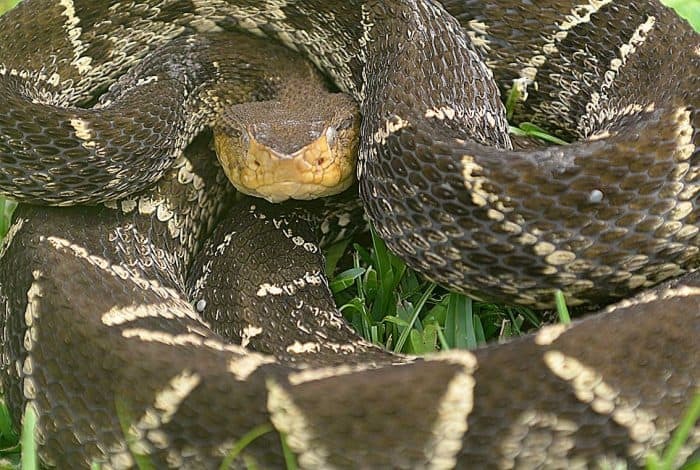 Researchers here also recently found that extreme weather may increase the frequency of snake bites. In nearby Honduras, the country’s pine forests are being wiped out by a beetle whose population has increased dramatically because of climate change, researchers think. And in southern Mexico — and elsewhere around the Caribbean — mass quantities of seaweed are washing up on beaches, threatening the region’s major source of income, tourism. Scientists have offered different theories to explain the huge seaweed bloom this year, from climate change that has shifted ocean currents to increased runoff from farms in the Amazon into the ocean. Perhaps scariest of all, a recent study published in the journal Science found that if the world continues on its current track of carbon use, 23 percent of species in South America could face extinction. Don’t go curl up in a ball, even if the upcoming climate talks flop, because people and communities are coming up with creative solutions for combatting and adapting to changes in our climate. Within the U.N. climate negotiations framework, Costa Rica has already begun to adopt two Nationally Appropriate Mitigation Actions, or NAMAs, as they’re called. One is aimed at reducing emissions in the livestock sector, while the other targets coffee. The coffee NAMA focuses on using fertilizer more efficiently, using energy saving technologies in coffee processing and increasing tree coverage on coffee farms. The government hopes to reduce greenhouse gas emissions from the agricultural sector by 15 percent through implementing the measures on coffee plantations. 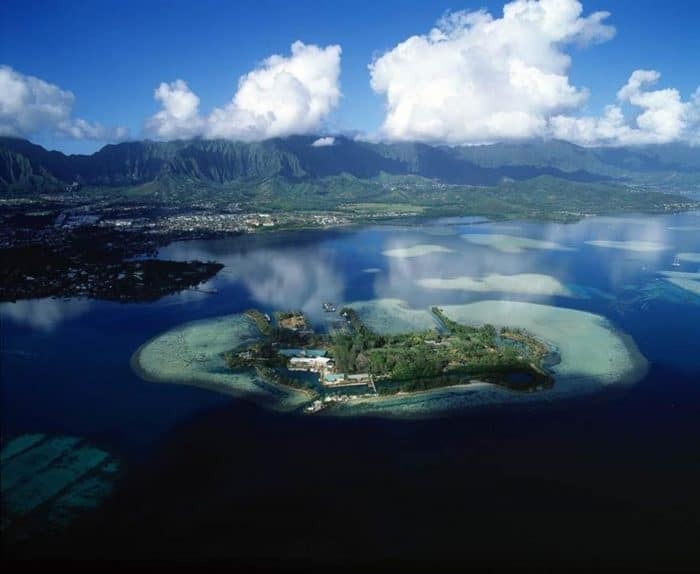 Elsewhere, scientists are working to develop strains of coral that will be able to withstand changing ocean conditions. A Canadian firm recently unveiled a test facility able to extract carbon dioxide from the atmosphere using giant fans. And farmers in France are dramatically cutting the methane emissions from their farting, belching cows just by changing their diet. During the upcoming climate talks, indigenous communities and their backers are likely to argue for greater protection of their natural resources and way of life as a tool for combatting climate change and deforestation. 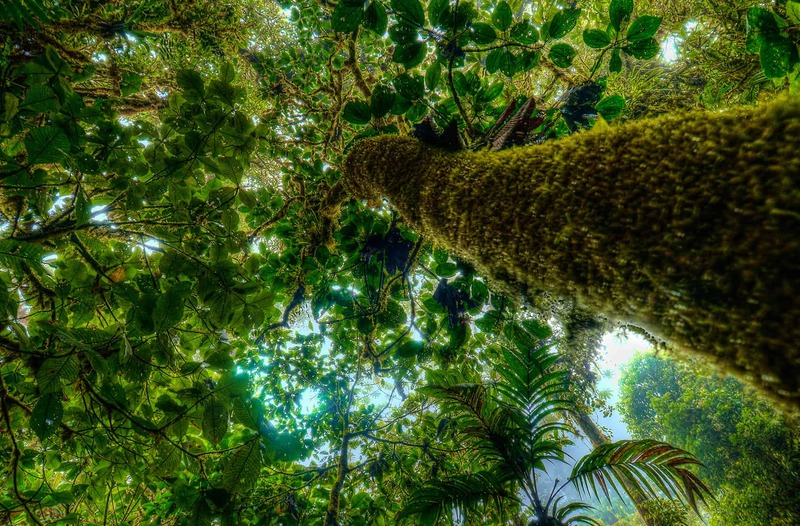 A recent study from the Washington-based World Resources Institute found that forests managed by communities and indigenous groups save the world billions of dollars in carbon capture and averted emissions. Still, many experts say we must learn to adapt to a changing climate, and quickly. MINAE climate change adviser Girot said discussing equitable adaptation plans is a priority for Costa Rica during the upcoming climate talks. Costa Rica was recently ranked the best prepared country in Central America for climate change on the University of Notre Dame Global Adaptation Index. It’s the second year in a row that Costa Rica has topped the ranking. Yet the country still ranks below Chile, Uruguay and French Guiana in terms of preparedness in the region. Other species are adapting, as well. A recent study in the journal Science found that the tongues of some bumblebees have shrunk in recent decades as the bees adapt to a shrinking supply and diversity of flowers from which to collect nectar. Arguedas recently helped Seminario Universidad launch a new website, Ojo Al Clima, dedicated to climate news. There are many more Costa Rican climate heroes out there, both sung and unsung. You can be one, too.